Kryvaline Paint Products are FDA and EU compliant, have not been tested on animals, hypo-allergic and are vegan friendly. 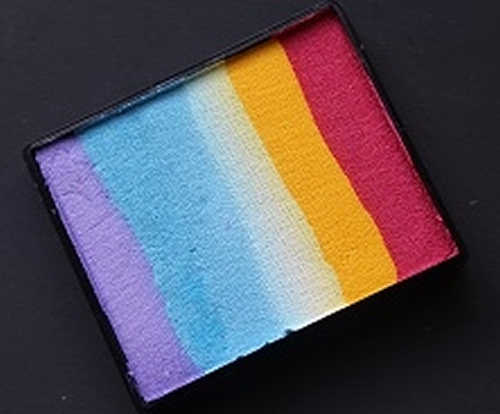 Kryvaline's dedication to making and developing outstanding quality products means that you can confidently and safely use them on children and adults as make-up or to create fantastic face or body art. The glycerine and paraffin wax based paints are free of harmful perfumes, sulfates and drying agents, which allow them to be used on sensitive skin, and leave the skin feeling soft and smooth. Our bright and bold colours are easily blended and offer exceptional opaque coverage suitable for theatrical applications and FX effects. Kryvaline guarantees that our reasonably priced products are made to the highest standards. Face and body painting artist Lisa Joy Young approved and recommended. 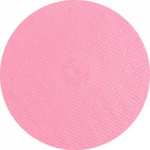 Kryvaline Regular Line face paint can be applied with a sponge or brush. Do not have your sponge too wet when applying this paint. Paraffin wax, Petrolatum, Glycerine, Calcium Carbonate, Stearyl Alcohol, Phenoxyethanol, Ethylhexylglycerin, EDTA Disodium Salt, Sodium Benzoate, Acacia Senegal, Dextrin, Water, Mica CI77019, CI15850, CI15850:1, CI15850:2, CI77891, CI42090:1, CI77266, CI19140, CI77007, CI77510, CI77491, CI77492, CI77499, CI74160, CI15985:1, CI47005:1, CI77742, CI11680, CI74260, CI51319. Click here for a material safety data sheet for Kryvaline regular line.